Our vision is that the men of Rock Crusher Church will consistently honor the Lord Jesus Christ in all areas of their lives. Strong men build up other strong men. 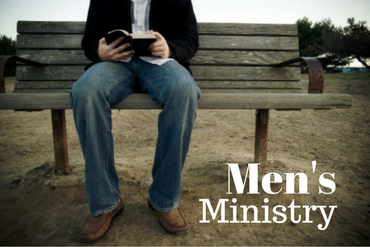 In Proverbs 27:17 we are told, “As iron sharpens iron, so one man sharpens another.” It is the goal of the Men’s Ministry to provide opportunities for fellowship and service for men of all ages. Activities and events throughout the year include are designed to help men connect with other men and with God. Men’s Breakfast (ROMEO) occurs every Wednesday morning at Biscuit Barn in Homosassa, FL at 6:30 am. Men’s Lunch (ROMEO) occurs every Wednesday afternoon at Biscuit Barn North at 11:30 am. Church Workday occurs various Saturday’s throughout the year.